Creating the perfect finish on a hardwood floor without leaving any swirl marks is a challenge. These unwan ted marks can occur when the floor is sanded to remove the old layers of paint, dirt or sealant.. They are scratches that appear in a circular pattern in the wood or finish. Sometimes they are only visible under intense light or in front of patio doors. Once the stain and finish are applied, it’s too late to get rid of them - and their removal is only possible by going back to bare wood and starting again. If, however, the swirl marks are only in the top coats of the finish, it can be lightly scuffed and recoated. - by using too rough a grade of sanding paper. - by using a sander with damaged parts that is not working perfectly. - in an uneven wooden floor. 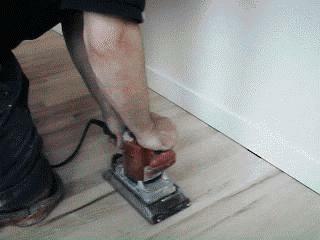 At Sanding Wood Floors! We want to make sure the job is done properly the first time. A flat, uniform surface is required for an even absorption of the stain or finish - and to promote a good mechanical bond for the adhesion of the finish. It is essential to blend the edges (stripped by an edging sander) with the area in the main part of the floor that has been sanded by the main machine. The finish - whether oil or lacquer - requires several coats. 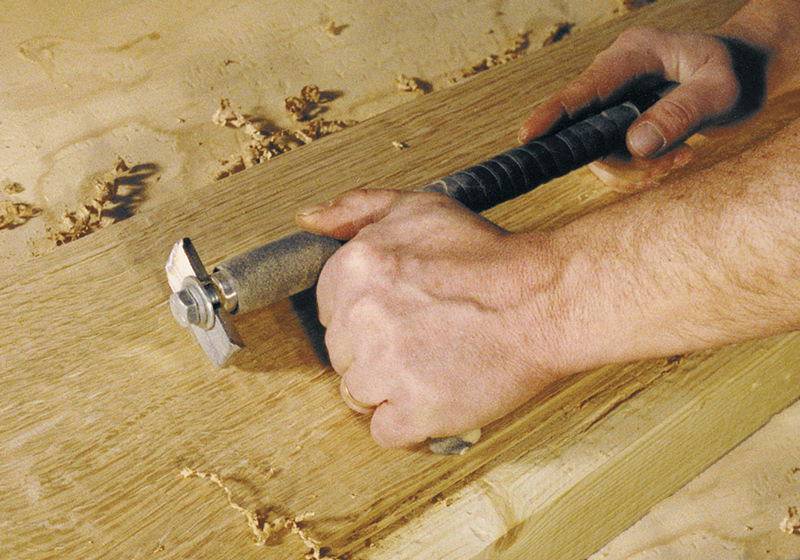 To obtain its optimal adhesion, screening is the technique that prepares one coat of finish for the next coat. Previous coats must be dry before lightly abrading the surface and putting on another coat. * we sand in a systematic and uniform way to ensure a regular depth of cut over the whole floor. Slow and steady is the key - with a balanced sanding technique. We finish along the grain with constant overlap and pacing for a uniform result. * the floor must be completely clean before screening. Our machines have a strong vacuum extraction that minimises the spread of dust. We also vacuum between each sand to reduce the potential for dirt or grit to cause that irregular depth of cut that can cause swirlmarks. We also make sure our work clothes are clean and dustfree. * we make sure all the parts in the sanders are in perfect working order - and replace any as soon as they begin to wear out. * we keep abreast of new abrasives and sanding techniques: some work better on different types of wood - for example, those with a denser grain. Some marks, however, can intrude into the most careful job. We examine the floor carefully - and remove any marks - before applying the stain or finish. Ask us for your free assessment. 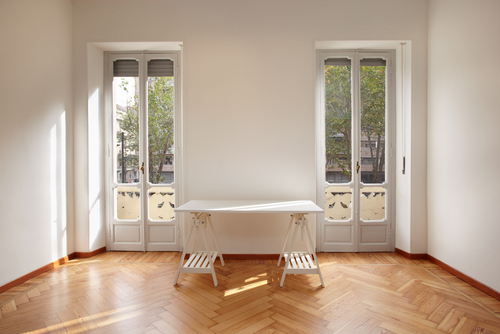 We’ll examine your floors and give you the benefit of our experience in the floor restoration business. Twenty years and hundreds of floors - in every kind of domestic and commercial setting.